Bayh, however, did not close the door on future endeavors and did not know what he would do with the $10.2 million remaining in his campaign coffers. We’re going to guess he will save them until he really decides he is done running for office. 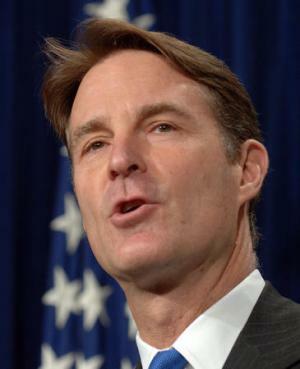 As for the Democrats, Bayh’s decision not to run for Governor really puts them in a bad position. Bayh was their best hope to reclaim the Governor’s office. John Gregg said, “our Moses, who led us to the promised land, has announced he’s not going to lead us back to the promised land”. Schneider says the other Democrats on the list now are Evansville Mayor Jonathan Weinzapfel, U.S. Rep. Brad Ellsworth, U.S. Rep. Baron Hill, U.S. Rep. Joe Donnelly, Lake County Sheriff Roy Dominguez and John Gregg. We think a few on that list are not serious contenders and many are vulnerable but we’ll get to that later.